A subtle wax coating gives new polish to lean and leggy jeans cut from lightweight stretch denim. Color(s): black, coffee, eclipse, ecru, ink, quarry, white. Brand: LAFAYETTE 148. 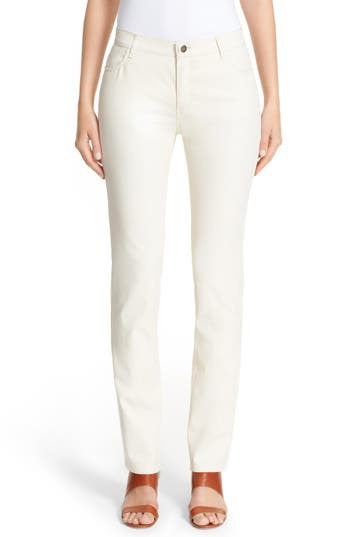 Style Name: Lafayette 148 New York Waxed Denim Slim Leg Jeans (Regular & Petite). Style Number: 1045592. Available in stores.